As much as travelling with kids can be fun and amusing, it also brings a lot of worries and responsibilities for the parents and even more so if the vacation destination is some exotic place such as Bali or Morocco. 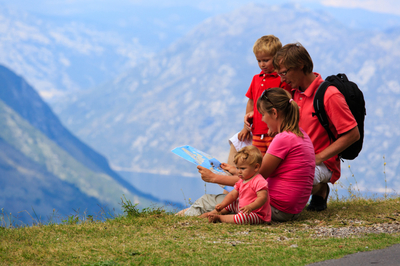 Apart from general packing necessities, parents need to think about various other things as well as ways to keep the kids entertained during the trip. 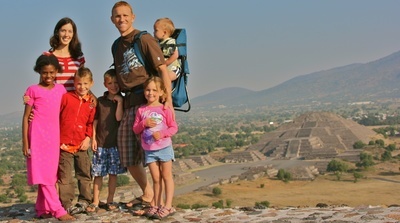 In this article we will explore some of the most important tips for parents who have opted for such an adventurous type of vacation. Before you were blessed with children, you and your partner might have enjoyed the spontaneity and adventure spirit of travelling without knowing where you are going to stay. Still, when the time comes to travel with kids, it is important to book a hotel as soon as possible and make all other necessary reservations. You do not want to be in a situation where you will wander around an unfamiliar place while carrying heavy bags and looking after kids who will most likely be cranky from the long flight. Before you start packing your bags with things you think your kids will need, make sure to check the weather forecast for the destination you are headed to. Not all exotic places are tropical paradises with warm and sunny days all year long. Depending on the location and the part of the world, you can expect anything from storms to harsh winds and rain. Therefore, together with light summery clothing pack some long sleeve shirts, light jackets and appropriate footwear. Once you are on a plane it will be too late to think of ways to make the trip fun for your children. Therefore, prior to boarding the plane it would be wise to think of some amusing activities that you can all do together as a family. If you are hoping for some peace and quiet during the trip, make sure to bring the kids’ favorite toys, sketch books, puzzles and other games that they can play without getting bored, and if all else fails there are always inflight cartoons and movies. The same principle applies for when you reach your destination. One great option is to get your kids a child-friendly camera so that they can be more involved with nature around them. Another option is engaging beach toys for playing in the sand, this way you will be able to keep an eye on them while you bask in the sun. In all honesty, parents cannot go anywhere together with their kids without a first aid kit. Most kids love exploring and running around and their clumsiness can often cause unfortunate events. Therefore, do not even think about going to a vacation without bringing plasters, bandages and an effective adhesive such as Mastisol liquid adhesive so that the kids cannot remove the bandage on their own. Also a must in any parents first aid bag are antibacterial wipes and solutions, bug bites treatments along with easy-to-swallow fever medicine. Travelling to an unknown place brings a lot of pressure even though it can be a really fun filled and enjoyable vacation. Most exotic destinations are quite crowded especially if you decide to go into town or visit a local market, for such occasions a child locator would be a great investment. It will enable you to find your children quickly and without raising panic. When preparing for an exotic trip with your whole family it is important to be practical and make sure that you are prepared for the unexpected, however impossible that might sound. Take your time when packing for this type of vacation and don’t forget to do your homework on the weather, activities and food, so that when you finally get there you will be able to relax, focus on your kids and creating the most wonderful memories.